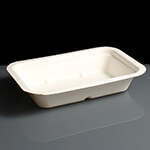 Biodegradable and compostable the Gourmet range of food containers are made from bagasse, which is recycled sugarcane and has 99% less embodied carbon than polystyrene and paper. 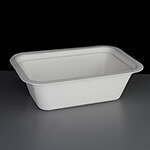 Sturdy and stylish it is suitable for the microwave and the freezer and has fantastic thermal properties which makes them perfect for hot or cold food, simply remove the lid before reheating. 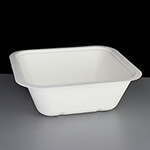 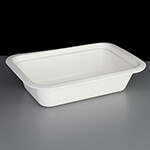 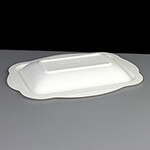 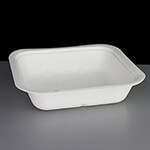 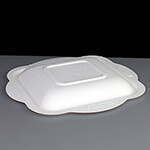 The bagasse lid has a unique anti-spill design - practical and economic, ideal for hot food on the go.